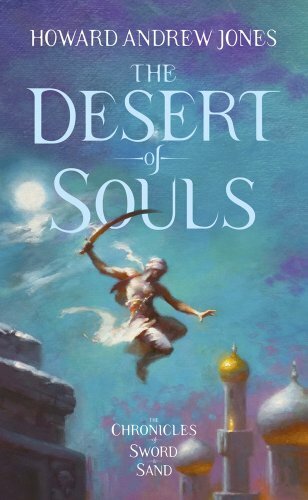 Howard Andrew Jones’ “The Desert of Souls” is one the books I enjoyed in the past two years, but in the tumultuous times I experienced lately I was not able to properly showcase and review it. But since “The Desert of Souls” will be released by Head of Zeus in the UK on April in hardback edition and on August in paperback edition maybe I would get a chance to finally review Howard Andrew Jones’ novel. If this comes to happen is uncertain, what it is certain for me though is the appeal of the covers used by Head of Zeus for “The Desert of Souls” and “The Bones of the Old Ones”, the follow-up novel also due to be released in the UK on August. For “The Desert of Souls” Head of Zeus went for the initial book cover used by Thomas Dunne Books in the USA for the hardback edition of Howard Andrew Jones’ first novel in “The Chronicle of Sword and Sand” series. I am thrilled with the choice of the UK publisher, because the artwork made by Charles Keegan is a thing of beauty and one of the best book covers I’ve seen lately. Even more, I am really excited to see the publisher going with the same artist and the same feeling for the cover of “The Bones of the Old Ones”. 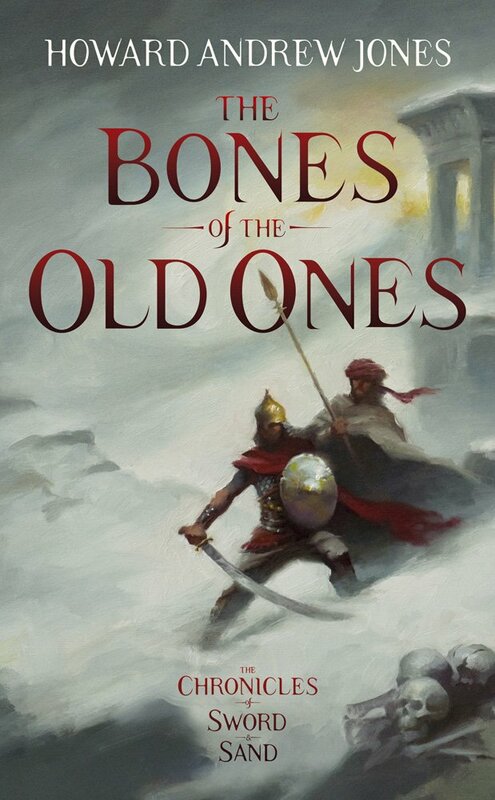 I do not know the reasons behind Thomas Dunne Books’ decision to go for a different kind of cover for Howard Andrew Jones’ “The Bones of the Old Ones” and for a short while I was all right with that particular artwork. However, although not exactly a poor choice that cover pales in comparison with the artwork made by Charles Keegan for the UK edition. It is more artish, it matches the feeling set by the first cover and inflicts the sense of continuity given by a series. It is the type of book cover I like to see, connected with the story and representing something from the tale while as an artwork it also has a life of its own. These two covers are both wonderful! Love the Arabian Nights feel I get from these. Ross, indeed these covers are amazing. I love them both a lot, the wonderful feeling they gave me. Oh, so much better than the USA versions. That nearly seems to be always the case. Damn it. I wish I lived in Great Britain. Just for the books.